Roger Federer is under the radar at this year’s Roland Garros as Rafa and Nole are primarily under the spotlight but nevertheless he is thru to the quarterfinals of a grand slam for the 28th straight time (thats 7 straight years!). He has not lost a set, and has won each match rather comfortably without spending much time on court. 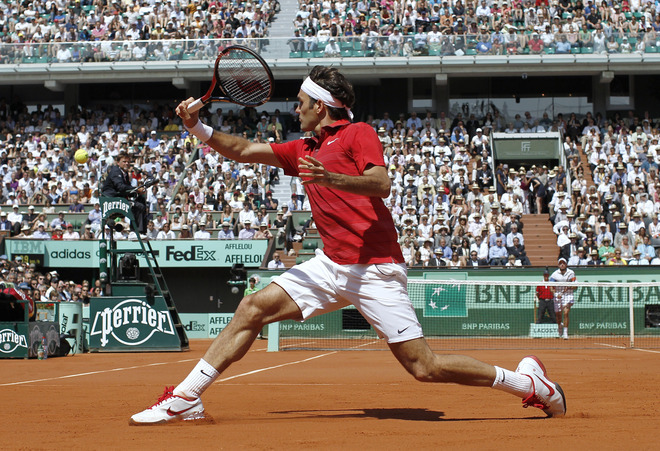 Federer looked to be his usual self as he defeated compatriot and Davis Cup teammate Stan Wawrinka, 6-3 6-2 7-5. The prior holder of the grand slam quarterfinal streak was Jimmy Connors, but he skipped a few slams during his streak. Federer has not missed a slam in the past 7 years during this current streak and many years before that as well. 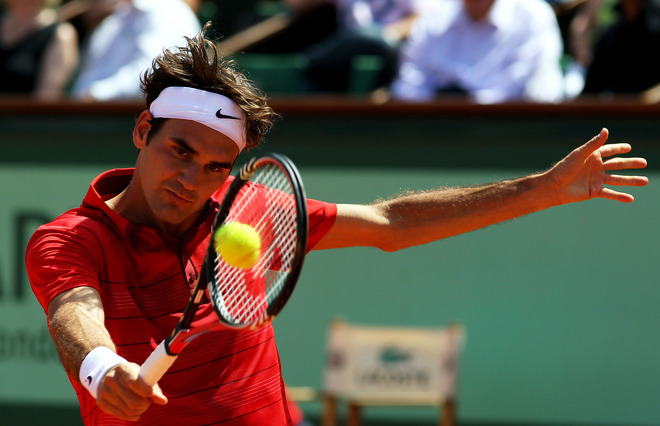 Is Roger Federer really thinking about getting a new racquet?